Here at American Standard Roofing, we have on-going projects all throughout Michigan. We have completed multiple projects concerned with roofing Adrian Michigan. 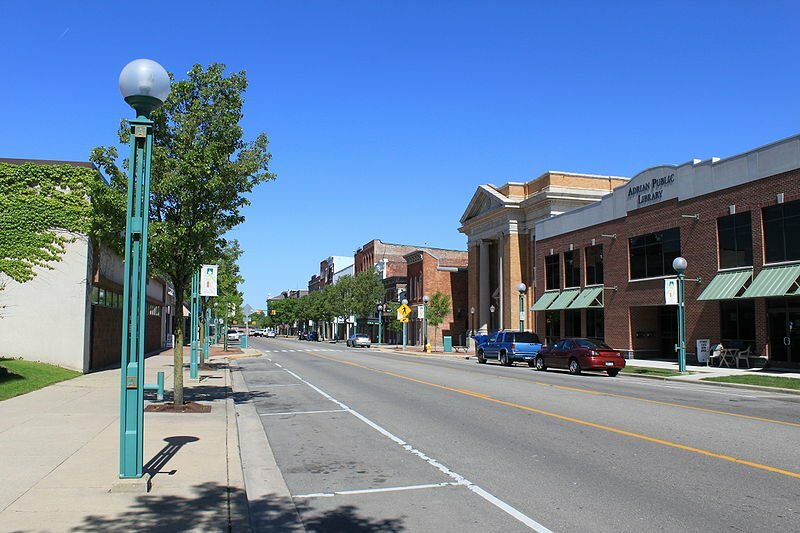 While not a big city, Adrian Michigan still holds it’s own unique importance. This cozy little town was founded in 1826 by Addison Comstock. He was the promoter of the Erie & Kalamzaoo Railroad believe it or not. The city was renamed by this gentleman’s wife and she did so after the Roman Emperor Hadrian. This was where the first successful wire fence was invented, and was world renowned as the fence capital for centuries. Adrian was also the birthing ground of one of the first invented automobiles, the Lion. The city also harbored two other major automobile manufacturers in the early 1900’s, but never became the industrial power that it sought to be. Adrian is approximately 30 miles southwest of Ann Arbor. It is 30 miles southeast of Jackson, and 30 miles northwest of Toledo, Ohio. A portion of the city is on the border between Adrian Township and Madison Charter Township, although the city is politically independent of both. The city’s urban area extends beyond the city limits into both of those townships as well as into nearby Raisin Township and Palmyra Township. Some major highways for the city include US 223, M-34 and M-52. The historical significance of the city makes it very interesting to work in. It has some unique architecture that any Michigan roofing contractor would find interesting. With our expertise in both contemporary and historical architecture, it was a pleasure working in the city of Adrian. Click here for City of Adrian Michigan official website.